You can never accuse director Danny Boyle of lacking ambition. 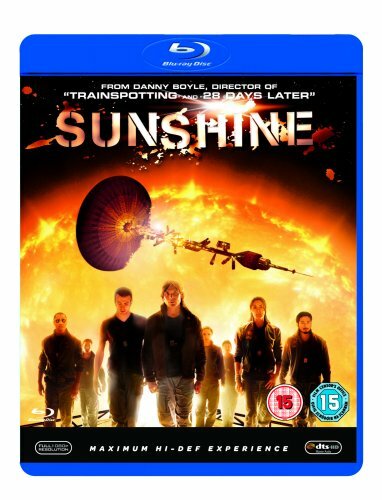 Sunshine sees one of Britain’s most successful directors switching genre once more, as he tackles this gripping science fiction flick about a quest to re-ignite the dying sun. And he nails it, too, adding another plus to a CV that’s already covered a kids' film (Millions), a big Hollywood blockbuster (The Beach), horror (28 Days Later), and a pair of British classics (Trainspotting and Shallow Grave). Bursting out of the gate at a terrific pace, Sunshine then doesn’t take its foot off the accelerator for much of its near-two hour running time. Set around the crew of the Icarus II who find themselves on a life-saving mission, things soon start going awry, and while you’ll find no plot spoilers here, Boyle proves a dab hand at ratcheting up tension on the way to the big finale. If anything, it’s the finale to Sunshine that does let the side down, not quite living up to the standard of what preceded it. But such is the strength of the ride to that point that it’s hard to complain. Especially when the cast, led by the always-magnetic Cillian Murphy, put in believable performances and get heavily into the spirit of the film.